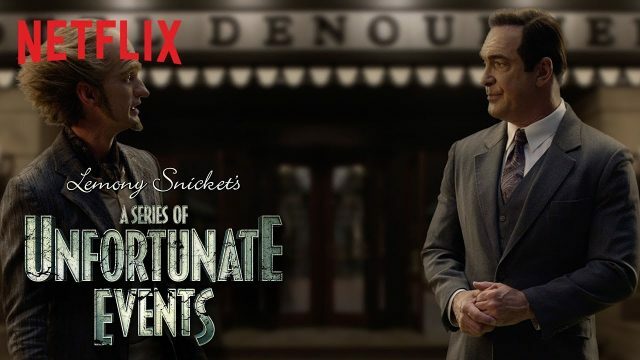 Netflix has set the release date for the upcoming third and final season of A Series of Unfortunate Events with a video announcement featuring Lemony Snicket (Patrick Warburton) together with the eccentric Count Olaf (Neil Patrick Harris). The sworn enemies gave a quick recap of what happened in the previous two seasons. They both promised that all of the viewers’ questions will be answered in the last installment. Season 3 is scheduled to premiere on January 1, 2019 at Netflix. Check out the video below! Based on the internationally best-selling series of books by Lemony Snicket (aka Daniel Handler), season two of the Netflix original series plunges further into the epic world of this darkly comedic mystery. Executive produced by Emmy Award-winner Barry Sonnenfeld and Daniel Handler – the new season of A Series of Unfortunate Events consists of ten cinematic one-hour episodes, and premieres worldwide spring 2018, exclusively on Netflix. Starring Emmy and Tony Award-winner Neil Patrick Harris, A Series of Unfortunate Events recounts the tragic tale of the Baudelaire orphans – Violet, Klaus, and Sunny – and their extraordinary encounters with the devious Count Olaf who will stop at nothing to get his hands on their inheritance. Foiling his many dastardly plans and disguises, the young siblings discover clues to their parents’ mysterious death, links to a covert organization, and begin to unlock long-held family secrets. Malina Weissman, Louis Hynes, Presley Smith, Patrick Warburton and K. Todd Freeman (among others) return for season two. New additions to the cast include (but are not limited to) Lucy Punch, Nathan Fillion, Tony Hale, Sara Rue and Roger Bart. The show’s first season, now available to stream, adapts the first four books in the hugely popular Lemony Snicket book series. Season 2 is expected to adapt books five through nine, while a third season (already ordered by Netflix) would finish off the adaptations, taking on books ten through thirteen.